Skydive in Victoria Falls. Book a spectacular tandem skydive from the Zambezi National Park in Victoria Falls. 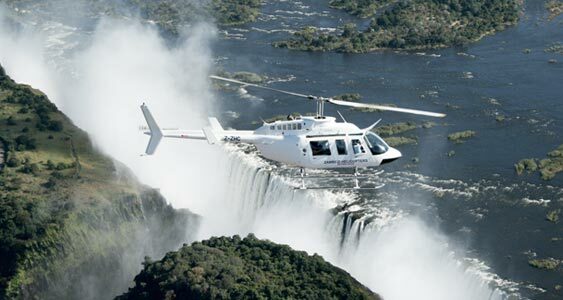 The Victoria Falls Skydive is located in the Zambezi National Park, a short 7 kms from the majestic Victoria Falls. The Skydive experience not only allows you to feel the rush of a free-fall reaching speeds of up to 200 km/h, but adds the extra bonus of breath-taking views of Victoria Falls during the flight and free-fall. The freefall lasts about 45 seconds and we recommend the best times to skydive are at sunrise & sunset as the light and the views are spectacular. ​During your 30 min flight you will climb to 10 000 ft before jumping with one of the experienced crew and soaring under parachute over the Zambezi National Park. When you book online until 31 December 2018!